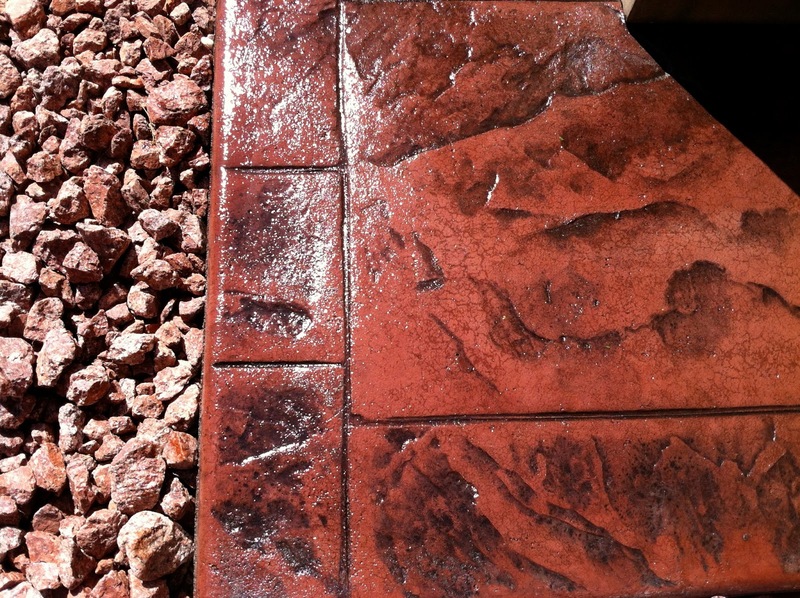 Stamped Concrete Pros - We do it right, using only the highest quality materials. Do you have boring grey concrete? We can add a stamped concrete overlay to give the appearance of slate, brick, or numerous other textures. It will transform the look and feel of your outdoor area all while adding a little bit of your personality to your home. Overlay's can be done in 1/8" and 1/4" depending on the stamp detail. The most important part about stamping is taking time to do it right and having the experience to manage temperature sensitive materials in the scorching Las Vegas heat. We are certified by various stamp and concrete companies, to do it the right way. Check out our ever expanding gallery under concrete to see some examples of what homeowners across the valley are going with. Homeowners with associations typically have to provide a detailed plan for any front of house stamping or coloring. Some associations go as far as to only allow certain textures and colors, get in touch with your association to find out more.